Alexis graduated from The University of Western Sydney (Podiatry) in 2005. Since then she has worked in numerous clinics ranging from private practice, community health, hospitals and aged care facilities. On first graduating she was part of a team that provided fly in, fly out podiatry services to Dubbo, Nyngan, Cobar, Brewarrina, Walgett, Lightning Ridge and Bourke. This provided valuable insight into medical care in remote isolated towns. Alexis worked at Westmead Hospital’s High Risk Foot Clinic, which was a multidisciplinary clinic for severe lower limb foot ulcerations and post amputation wound care. This has provided extensive experience treating patients with Diabetes, Vascular disease and limb threatening ulcerations. Whilst there she was also trained in total contact casting providing casts to alleviate pressure to the plantar surfaces of the foot which are suffering with chronic ulcers. Throughout the years Alexis has also worked in community health centre’s providing general podiatry care, numerous diabetic foot assessments and information sessions for patient education on general foot care as well as the diabetic foot. For the past two years Alexis has been a clinical supervisor at the University of Western Sydney Podiatry Program. This job entails supervision of third and fourth year students undertaking their clinical hours at the university clinic. She has also held tutorials for the students in Neurological assessments of the lower limb and Podiatry specific neurological diseases affecting the foot and lower limb. 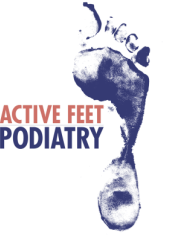 She has also worked in numerous private podiatry clinics around Sydney both in general practices and sports specific areas. She takes pride in treating all conditions relating to the lower limb seriously and shows a professional, dedicated and passionate approach to provide the best health care service at each and every consultation. Pre Podiatry Alexis studied a Bachelor of Applied Science (Food and Nutrition) after which she briefly worked as a nutritionist at a Sydney hospital then the travel bug took over and she ventured backpacking overseas. Alexis still loves to travel however now married with two beautiful children this is only done on planned family adventures. Away from podiatry Alexis is a keen long distance runner with which you may spot her out running with her dog around the beautiful tracks of Kiama. She has competed in many triathlons over the years, (at state level as a junior), Representative netball at State league level, Competitive track and road cycling as a junior and as an adult she has participated in marathons which now with two small children she finds training a little difficult so sticks with half marathons, trail runs and most recently been introduced to obstacle style events (crazy, muddy, obstacle races.) She also loves competing in ocean swims, which last year she placed first in at the Xterra games in Callalla, and second in the 10k trail run. With years of training and competing in various sports Alexis is equally at home treating young sports people and elite athletes who are suffering leg, knee and foot pain.